Crockpot recipes, such as mini meatballs and hot dips, or chilled crudité platters, are excellent choices for a party with a large menu. Consider setting up the buffet so that different food types are grouped together. Since a crockpot uses little electricity and produces low heat, frugal crockpot recipes are great for making meals during the summer months when you're concerned about high utility bills. If you need to be away from home for a longer period of time or you have an especially high-powered crockpot, add an extra 1/4 cup water for every additional two hours of cooking time. Plug in the crockpot and you have a warm, comfortable smell wafting throughout your home that isn't overly pungent like some of those expensive wall-outlet units. Frugal crockpot recipes can be an excellent way to save money in the kitchen, especially if you're normally too tired to cook at the end of the day. 500 recipes for you to prepare and taste in a very easy and fast way. 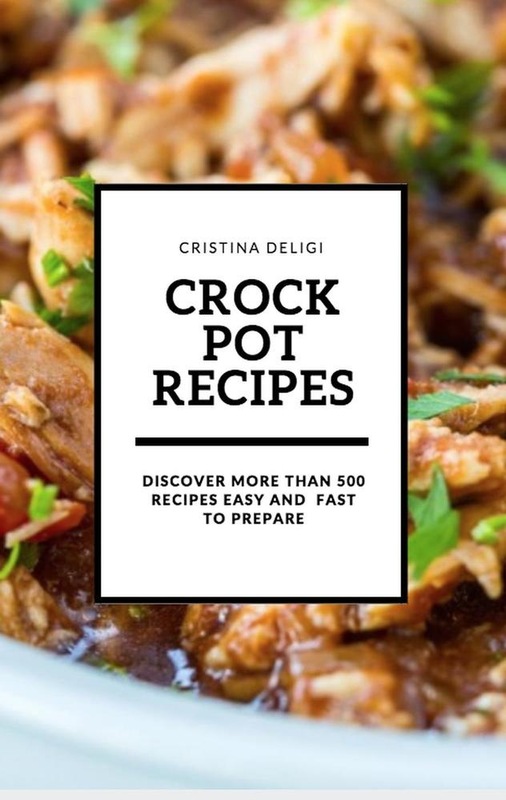 Acquista Crock Pot Recipes in Epub: dopo aver letto l’ebook Crock Pot Recipes di Cristina Deligi ti invitiamo a lasciarci una Recensione qui sotto: sarà utile agli utenti che non abbiano ancora letto questo libro e che vogliano avere delle opinioni altrui. L’opinione su di un libro è molto soggettiva e per questo leggere eventuali recensioni negative non ci dovrà frenare dall’acquisto, anzi dovrà spingerci ad acquistare il libro in fretta per poter dire la nostra ed eventualmente smentire quanto commentato da altri, contribuendo ad arricchire più possibile i commenti e dare sempre più spunti di confronto al pubblico online.